We identified three specific ways in which we can be “better” than we were a year ago. We strive to be Communicators, aim to be better at Cooperation, and intend to better at Climbing. We chose these three target areas as they are also “milestones” reached by three year-olds and our company turns three in February. Today, we will share the ways in which Doulas of Capitol Hill plans to be better at Cooperation in 2019. 1. We’ve started 2019 out with a large team of birth doulas, postpartum doulas, placenta encapsulators, and lactation consultants. We value having a big team because it means more choices and options for our clients. Doulas of Capitol Hill, and our sister company Doulas of Prince George’s County, can be a one-stop-shop for all things pregnancy, birth, and baby-related. You want an expert by your side and we are honored to be invited into your story! However, a challenge to any group as it grows is continuing to be in relationships with one another where we are known and our differences are celebrated. We need to have spaces created for us where we can be authentic, where assumptions are left aside, and non-judgmental listening is made a priority. To address this challenge we’ve launched our 5 Star Mentor program! The 5 Star Mentors are a select group of doulas who are know for their experience level and leadership qualities. They will facilitate small groups of 3-5 other professionals, meet regularly, learn from each other, connect as a community of professionals, and receive mentorship, when needed. One of Doulas of Capitol Hill’s Three Guiding Principles is “Grow the Profession.” 2019 will be a year for us to become BETTER at COOPERATION, so our professionals can grow together! 2. The 5 Star Mentor program benefits our professionals, yes. But it also benefits our clients in two ways.. First, each of the small groups will be hosting one of our quarterly DCH Village meet-ups. These are in-person events we hold for our clients to hang out with other parents. Some of examples of past DCH Village get-togethers were wine and painting at Wine & Design in Alexandria, picnic at the Winery at Bull Run, cry-baby matinee at AMC Courthouse in Arlington, Brewery get-together at Biergarten Haus in DC, Baby Bar Takeover at Boxcar Tavern in Capitol Hill, and our Snowflake Diaper Drive to benefit the DC Diaper Bank. We know our clients choose the birth doula or postpartum doula to invite into this intimate time in their lives with a mix of experience, personality, and trust. For expectant parents for whom experience is the primary priority, the second way this 5 Star Mentor program benefits clients is that we’ve made it easy to identify the most seasoned doulas on our team, showing who the 5 Star Mentors are at the top of their website bios. 3. The third way Doulas of Capitol Hill will continue to focus on COOPERATION in 2019 is with our Affiliates and Partners, who are other local business we love and who love us back! Shout-out to Nested, who offers all our group childbirth classes at their offices in Chevy Chase and at the Breastfeeding Center for Greater Washington, to Emily Souder of Nesting Space LLC, author of Birth Story Brave, and Concierge Physical Therapists, our long time affiliates offering in-home physical therapy to clients throughout the DMV. We’re happy to continue our affiliation with Motherhood Tabutiful, Lavender Retreat, Heidi Daniels the DC Birth Photographer, ICAN of NOVA, and Washington Pediatrics. One new affiliate we recently joined up with is Fran Darnell of Dynamic Core, who offers her Dynamic Mama Pilates and coaching series at Rooted Pilates in Capitol Hill. Stay tuned for some new affiliates to join us this spring and later in the year as well! We believe when people support each other, incredible things happen. Doulas of Capitol Hill has an amazing group of skilled women who are passionate about the work we do supporting families. Author Paulo Coelho said “when we strive to become better than we are, everything around us becomes better, too.” We couldn’t agree more! In February of 2019 the company will celebrate its’ third birthday and with that came some reflection on what milestones and abilities three year-olds are reaching. When compared to two year-olds, who are notoriously marked as “terrible,” three year old’s seem to be light-years ahead in their abilities. Not YOUR two year-old, of course, but all the others! We identified three specific ways in which three year-old’s are “better” than they were a year ago. They are better Communicators, they are better at Cooperation, and they are better at Climbing. 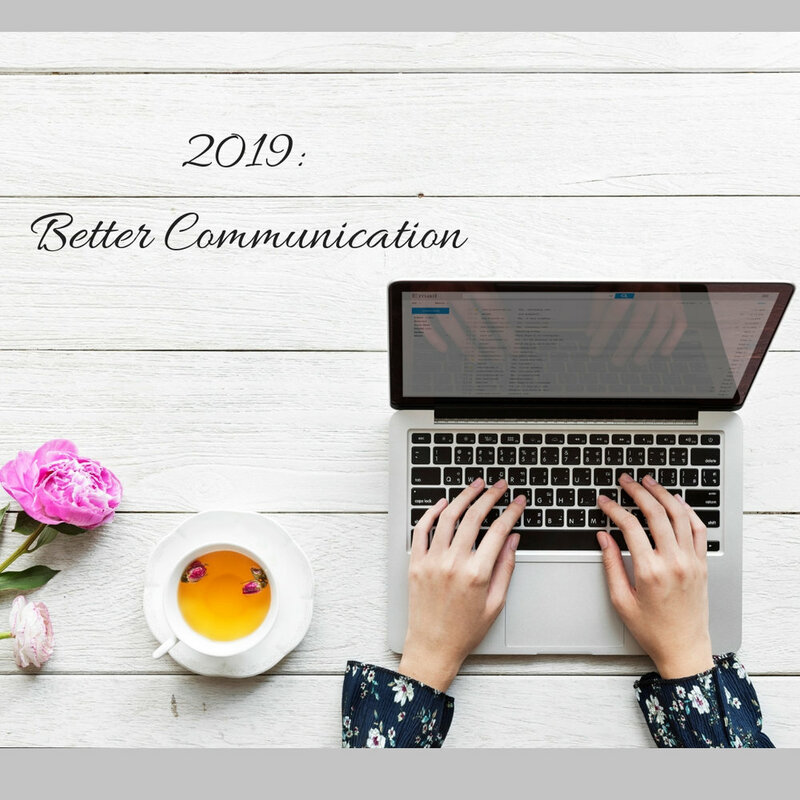 Today, we will share the ways Doulas of Capitol Hill plans to be better at Communication in 2019. In January 2019 we have added to our client evaluation form a survey of our clients success rates getting reimbursed by their health insurance for services. Additionally, if they had success, or lack of, with payment or reimbursement through a Health Savings Account or Flex Spending account to pay for doula services or to pay for lactation support, we want to know! Is my doula covered by insurance? And can I pay for my doula with my HSA or with my FSA? These are questions we know people are asking, so we’re making it our intention to get some answers! As a team we are going to be communicating Better as well, by adding in a weekly behind-the-scenes Zoom call for our professionals to communicate together about the challenges and the wins we experience in supporting families through pregnancy, birth, postpartum, and the newborn period. And lastly, we plan to see some new and unfolding ways of communicating with our clients by continuing to add things to our Client Portal, which is a password protected page on our website created exclusively for our clients, past, present, and future. The Client Portal is a special collection of resources combined with DCH and our Affiliates and Partners. We can’t unveil all the goodies 2019 has in store, but one we are excited to give a hint about is a Birth Affirmations Printable. When our Birth Affirmation Printable is released we’ll be sure to practice good COMMUNICATION and let you all know! We want everyone to know that BETTER doesn’t mean that things were bad in the past. It’s just an acknowledgement that we’re still learning and improving in the ways walk out our Three Guiding Principles: Support the Family, Build the Community, and Grow the Profession. As always, we welcome your comments and feedback how we can be BETTER! And what does that mean for our agency moving forward? If the answer is a simple, yes it could be, then how can we, not necessarily fix it, but change it in a way that is more efficient and overall, well, better? In the weeks to follow we will try to break this word down a little more and let you all in on how we intend to make our agency a more improved and overall better experience for everyone involved. Because we are in the business of helping families and we consider you all a part of our Doulas of Capitol Hill family. So lets make 2019 better for all of us!